Singer-songwriter Calum Scott is perhaps best-known for competing on Britain’s Got Talent in 2015. Scott struck a chord not only with viewers but music lovers across the world with his emotional take on Robyn’s hit Dancing on My Own. Released as a single in 2016, Scott’s version proved to be a huge hit all over the globe and it’s been certified 2x Platinum here in the UK. Nearly two years on from the success of that song, Scott has recently released his eagerly awaited debut album Only Human. For some reason straightforward pop is sneered at by critics and music snobs. Just look at the way the likes of Ed Sheeran, Sam Smith and Adele (three of the most successful British artists in recent years) have been treated. I’ve seen Scott get similar treatment from some supposed music connoisseurs and to be quite honest it’s ridiculous. Scott isn’t trying to be edgy or cool on Only Human, he’s making music that’s honest to him as an artist and for that I applaud him. 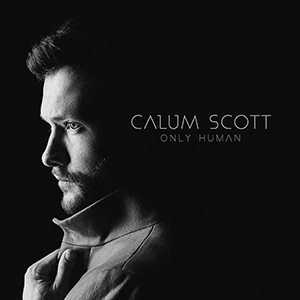 Only Human opens with If Our Love is Wrong, a deeply personal song that deals with Scott’s sexuality. Anyone who hasn’t had to come out in their life likely won’t fully appreciate the emotion behind the track but I, as an openly gay man, certainly do. Scott captures the feeling of conflict that sits behind coming out, while falling in love for someone who makes you feel something you’ve never felt before. It’s a strong start to the record and vocally it shows a completely different side of Scott’s talent. For those expecting an album full of ballads, that’s not what Scott delivers here. Give Me Something is an uptempo moment that captures the frustration of being ignored by a lover, single Rhythm Inside is an infectious dance number, and What I Miss Most is a euphoric moment of realisation. The beat-heavy Good to You takes a leaf out of Maroon 5’s book and Scott sounds uncannily like that band’s lead singer Adam Levine. There’s no denying that Scott comes into his own on the ballads. Current single You Are the Reason is a beautiful piano-led track that allows Scott to move around his range and showcase his falsetto. Only You is a touching ode to a friend and Hotel Room, one of the album’s highlights, is a beautifully honest song with a fantastic vocal from Scott. Scott has delivered a deeply personal album that is unflinchingly honest and frequently emotional. He’s a gifted vocalist, with more layers to his voice than I’d realised, and he’s clearly a gifted songwriter too. Only Human is a showcase for the talented singer-songwriter and it’s a celebration of the essence of traditional pop music. Scott can easily stand alongside our biggest popstars and I like that he’s not given in to pressure to sound like everyone else in the charts. I can’t wait to see what he does next.